There are many factors to consider when shopping for a new shower head water filter. Some shoppers look at the style of the shower head water filter while others concentrate on finding a shower water filter that reduces the amount of chlorine in the water supply. Regardless of a person’s individual preferences, Water Filters FAST has an abundant selection of shower water filters to suit the tastes of many shoppers. The following outlines just a few of the benefits of selecting a shower water filter from our online store. At Water Filters FAST, when it comes to shower water filters, we provide our shoppers with dozens of decorative options. 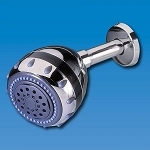 Many people shop for a shower head water filter that complements the design of their shower. 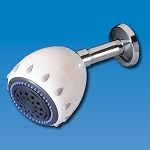 We have shower water filters in both contemporary and traditional styles. 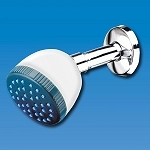 In addition, our shower head water filter selection contains products made out of a variety of materials. 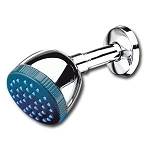 For instance, some of the shower water filters in our inventory are made out of chrome and others are made with brass. 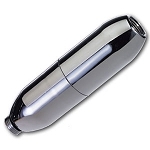 Also, we have shower water filter products that are made out of brushed nickel. In short, someone who is looking for a showerhead with a specific design and appearance is sure to find it in our inventory. Another benefit of choosing from our water filter for shower selection is our collection of reputable brands. 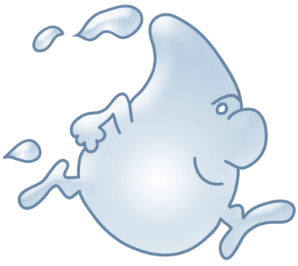 Some of the brands we carry include GE and Sprite as well as Culligan filters. Our customers appreciate the presence of familiar brands when they are looking for the perfect shower water filter. Each of our water filter for shower products is paired with a description that gives customers important information about the item. We include detailed descriptions of our products because we want our customers to know all of the facts before making their final decision. Our water filter for shower selection contains practical as well as stylish products. Our water filter shower head inventory contains products that are thorough and effective at filtering impurities out of a supply of water. 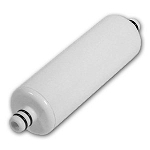 We offer high-capacity water filters. 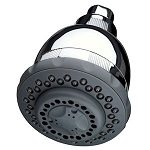 At Water Filters FAST, we understand that a water filter shower head must be useful as well as attractive. 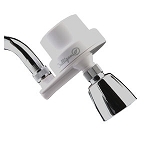 Finally, many items in our water filter shower head selection are effective for a long period of time. The owner of a water filter for the shower can forget about the filter for a while and enjoy the benefits of clean, odorless water. 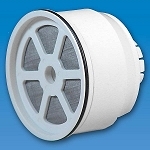 Also, many products in our water filter shower head selection are easy to install. They arrive with clear instructions so an owner can hook up the water filter for the shower with ease! Many of our customers have already discovered the many benefits of shopping the excellent selection of shower water filters.